Last week was quieter on the blog than I had anticipated because I got lost… in a book. I’ve always been a big reader, but I have found that I often struggle with finding time to read. 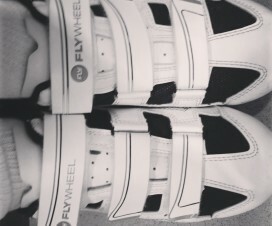 Reading, blogging, and exercising share the same timeslot in my day. They regularly battle one another out for top billing, and reading, despite being my first love, doesn’t always win the number one slot as much as I would like. In order to give reading the leg up in the battle for my time, I’m signed up for the 2015 Reading Challenge from Goodreads. I’ve committed to reading 45 books this year. Since I read 38 books in 2014 (while feeling I didn’t read enough), 45 should be (hopefully) a doable goal. So far, this year, I have finished “Olive Kitteridge” by Elizabeth Strout, which I highly recommend. I’m already in the middle of books two and three on my 2015 Book List. 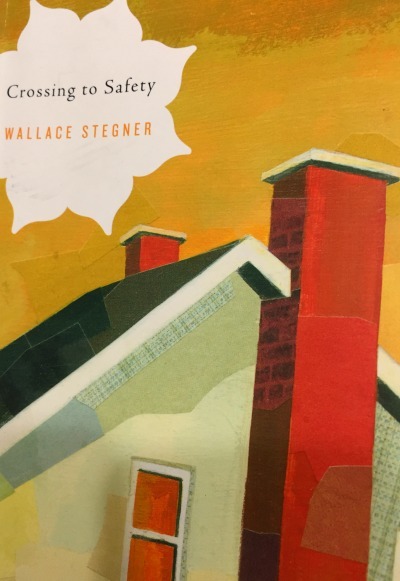 Two is “Crossing to Safety” by Wallace Stegner, an author I had been looking forward to reading for some time. I learned of Stegner by reading interviews with successful writers; they would praise his works and describe him as a favorite. I’m nearly done with “Crossing to Safety” and understand why he is so recommended. His writing is beautiful, poetic, and evocative. He won a Pulitzer for “Angle of Repose,” another book that is on my to read list this year. The other novel I am in the midst of is “The Rosie Effect” by Graeme Simsion. It’s a sequel to Simsion’s widely popular novel, “The Rosie Project,” which I read last year for my book club. I normally don’t take on more than one book at a time; however, “The Rosie Effect” is my commuting book. I’ve been listening to it, via Audible, on my drive to and from work. I’m not enjoying the sequel as much as I did the original, but I am still a fan of audio books. Listening to them makes traffic much easier to handle! That’s as far as I have gotten. I am considering tackling some big reads this year, books I should have read in college or graduate school, but never did. Proust and Dante come to mind. I’m also going to try to make a dent in Goodreads’ 100 Books to Read Before You Die list, though I will not take on Jane Austen (other than “Sense and Sensibility,” which I have already read). I am not a Jane Austen fan. With the kids, of course, my husband and I read every day. My son currently loves graphic novels, jumping back and forth between the Tintin and Lunch Lady series. My daughter and I are reading the Ivy & Bean chapter books together—well, I’m reading to her—and we’re discovering the Nancy Clancy books (she’s the Nancy from Fancy Nancy but a bit older). The good news is that I’ll never run out of engaging things to read, which makes this 2015 goal a true pleasure. I need suggestions for My 2015 Book List! Please share your recommendations in the comments below. Kimberly, Crossing to Safety is truly one of my favorite books, and the cover on your post is what caught my eye. I posted my top ten over the summer. But I can’t recommend East of Eden by Steinbeck, or Tender is the Night by Fitzgerald enough. Like I truly cannot recommend them enough. And My Antonia also. I really hope you add these to your list! And if you do, and if you like them, then you will know my taste, and so if you have recommendations for me, please send them my way! Pearl – I have read My Antonia and Tender is the Night! Great books and thanks for recommending them. I must have read East of Eden in high school but since I can’t remember for sure, I will add it to my list for 2015! Thanks so much! Confession: I never read books. I really never have. It’s just not something that I can fall into like most people. I’ve even joined book clubs and gone to book readings in hopes of making it stick but alas, alas, it’s just not my thing! i applaud how many books you plan to read. I love reading, but am attracted to ebooks and cookbooks more often these days. I did enjoy What Alice Forgot and also Beneath the Marble Sky. Great list. I’m finally reading The Fault is in Our Stars. I have a feeling i will be crying soon! Awesome, I’ve added a bunch to my to-read list! I’m currently reading The Pearl that Broke Its Shell and The Power of Habit.